One of the most fun aspects of participating in a dynasty league is being able to talk about trades and negotiate with fellow leaguemates all year long. This helps keep interest up for those who think fantasy football should last longer than the 4 month NFL regular season. One key element of trading is knowing how to go about striking the right deal today, as well as maintaining productive negotiations in the future. 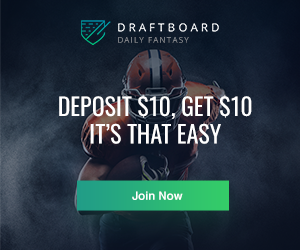 Here are some of my do's and don'ts for trading in dynasty fantasy football leagues, along with some techniques that have helped make me a more effective and efficient dynasty trader. 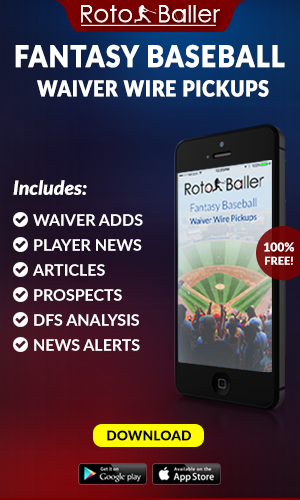 Editor's Note: RotoBaller has the best Premium NFL Subscription, only $29.99 for the full season. 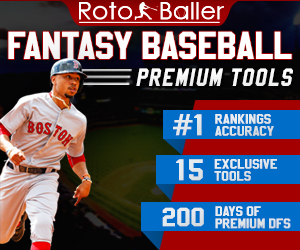 We have all the preseason tools to help win your drafts, and in-season tools to win your seasonal and daily leagues: Draft Kit, Premium Rankings, ADP Sleepers Tool, Matchup Ratings for every player, Daily DFS Cheat Sheets, Lineup Picks, Expert Lineups, Stacks and Avoids. Make a reasonable offer. Nothing is more off-putting or is likely to stall trade talks faster than a lopsided trade proposal in your favor. This doesn't mean make your best offer right off the bat, but offering a bunch of scrubs for Odell Beckham is not going to go get you anywhere. Don't be the guy or girl who spams fellow leaguemates with terrible trade offers. Trust me, it is not appreciated and can only hurt future negotiations. Use a draft pick to select a player with the intention of trading him. Draft picks generally have more value than the player that you select with the pick. 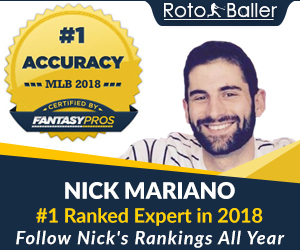 If your intention is to make a trade, harness the power of rookie fever and trade the draft pick before your own draft or while on the clock to get max value for the pick. For example, if you hold the 1.05 in your rookie draft in 2016 and have plans of trading the player you make with that pick, you are better off shopping the pick itself, giving your trade partner(s) more options with the pick, rather than taking Wide Receiver Sterling Shepard and decreasing the possible trade partners for the player, because half of the league may prefer Running Back Derrick Henry with the 1.05 pick. As dynasty players, many tend to value new, shiny things over old, proven assets. This includes the unknown commodity of a rookie pick. Correctly value future draft picks. This is similar to what some of the more analytical NFL franchises do. People tend to think in the near future and place less of an emphasis on the future. Use this to acquire future draft picks. This strategy has been very prevalent in 2016 with a perceived weaker rookie class, but it is a strategy that can work any year. Many times when I know I'm close to finalizing a deal I'm happy with, I'll see if the owner is willing to throw in a future 2nd or 3rd round pick, even if it's a year or two down the road. Alternatively, ask for a young player with upside who doesn't have a clear path to playing time, players like J.J. Nelson or Jeff Janis. If the owner says no, I proceed with the deal anyway, but if they say yes, that is just another asset you can use in future trades or it can be used to select your favorite later round sleepers in future years. Fall for a bad two-for-one deal. Often times in these deals the best player in the deal is the one being shipped out for multiple players in return. Keep in mind, if you take on the two players, this creates a situation where you will need to drop someone to fit the extra player on your roster. Depending on the strength of your team, this might not be something that would be beneficial for you to do. When this comes into play, it is important to consider the player you need to drop as part of the trade. Don't lead with your top offer. This doesn't mean send over a low-ball offer as that usually hurts more than helps. In saying that, just because you shouldn't low-ball, that doesn't mean you should come with your best offer on the initial offer. Many times you will end up in a situation where the other owner is going to ask for something on top of your offer to get the deal done, so don't put yourself in a position where you are already giving up the most you would consider giving. Age is more than just a number in dynasty. Keep in mind that age is a major factor in dynasty league value. As good as A.J. Green is, would you rather have him at age 27 for the next three years or Amari Cooper at age 21 for the next 10 years? In a redraft league, Green for Cooper looks like a fair trade, but in dynasty if I'm giving Cooper to get Green, I need to be getting one or two other solid pieces in the deal as well. Bundle middle tier players up and ship them out. Try to package up average/slightly above average starters to land a top talent via trade. 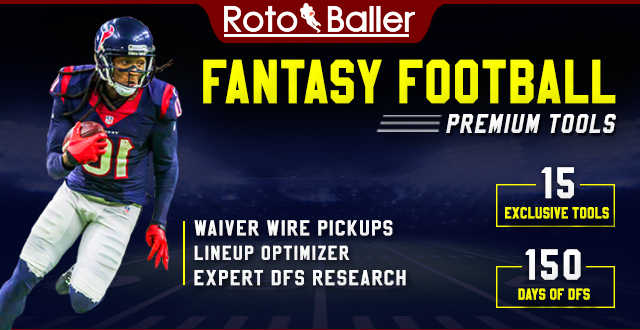 Players a tier or two below the elite players can be sometimes be packaged together to create roster space and increase the ceiling of your weekly lineup with a high-end stud. Don't trade studs for draft picks or question marks alone. Even better, just don't trade your studs, end of story. If you have a young, star player, particularly a wide receiver, unless it is an actual offer you can't refuse, don't be tempted to make that kind of move. Young star wide receivers are gold in dynasty leagues and should be treated as such on the trade market, when you trade gold, make sure you are getting some gold in return.